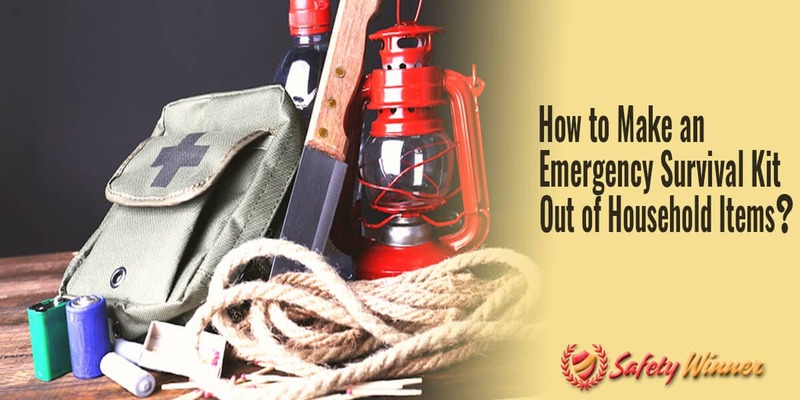 #1 How to Make an Emergency Survival Kit Out of Household Items? It’s important to have an emergency survival kit for a variety of reasons, such as the notion that an emergency can happen at any time. But, sometimes you might not be able to purchase all of the necessary items you need for a survival kit. That’s where we come in handy! Continue reading to learn more about ten household items you can use to make an emergency survival kit. Bleach kills virtually everything. This can be helpful in emergencies because you can use it to disinfect your household if an infectious disease is spreading around your town. Also, if your water happens to stop running, you can use minimal amounts of bleach to disinfect it. So, you can have safe water to hold you over until you seek help. You can find old towels thrown into random closets in virtually every household. Towels are extremely versatile, especially in emergencies. For example, if a window breaks or there is a small leak, you can use a towel to help patch it up. Towels can also help secure wounds until you can seek medical attention. Since towels are similar to blankets, you can even use it for warmth if you get cold. Towels are also similar to cloth and clothing. So, if you’re in a pinch, you can use a towel to make a temporary article of clothing, such as a diaper. Finally, towels can be used as a protective measure. If you ever have to grasp something hot, such as a pot that has been boiling, wrap a towel around your hands before you grab it. Dental floss can be used a structural item for various things. For example, if you are ever in a situation where you need to fish for food, but don’t have any fishing line, you can easily use floss as a substitute for fishing line. Dental floss can also be used to tie things, such as a bandage. This can be useful for securing things until you have the opportunity to get a more substantial securing method, such as rope. Speaking of bandages, feminine products like tampons and pads are great substitutes for bandages. Of course, everyone knows that tampons can be plugged up in nostrils to stop a nosebleed. As for pads, they can apply just enough pressure and protection to stop bleeding and secure a wound until you can seek medical attention. You can fix virtually anything with tape. If you need to patch clothing, a hole, or even a bandage, you can use any kind of tape to secure it. Although various types of tape found in homes can be used, duct tape is the best kind of tape to use in a survival kit. You can utilize an average garden hose to transport various liquids in an emergency. For example, if you need to carry water from two different areas, do it efficiently by turning on your hose and pulling it to the location where you need water. You can also use a hose to extract gas from automobiles or even cut it in multiple pieces to use it as protective gear or security. Of course, standard tools come in handy during an emergency and withstand a disaster. All the standard tools you really need during an emergency are a hammer, wood, and nails. These materials can be used to create a variety of things, such as a barrier that secures your home from any potential dangers, such as intruders. You can also use these materials to secure windows with nails. This can be helpful if you’re in an area that’s experiencing inclement weather, such as high wind or rain, because you will be able to protect your home from any damage. If you need to create a light and heat source, use your everyday cooking oil to create a large flame. This process is super easy. All you really need is some oil, some sort of container, such as a jar, and a match or lighter to ignite the flame. Once you have all the materials, simply pour a generous amount of oil into your container. Then, use your fire source to light it. It’s important to note that whatever type of container you use should be fire resistant. Also, it’s always dangerous to have an open flame. So, just be mindful of what is around your do it yourself oil lamp and how you use it. Although kitchen knives might not be as sharp or durable as survival knives, they still get the job done. Let’s face it: having at least one durable knife during an emergency is extremely useful and could ultimately determine whether or not you survive. So, if you experience an emergency, head over to your kitchen and grab at least one of your best knives. Your kitchen knife will be able to cut through materials, such as cloth, as well as function as its original intended use when you need to prepare food. Also, you never know when you or your loved ones might come into harm’s way. Unfortunately, you might need to use your kitchen knife to defend yourself during an emergency. Not many people seem to give tea bags enough credit for being a natural remedy. Yup, that’s right: although tea can’t necessarily cure every type of ailment, it definitely works better than nothing. Tea is especially useful as an anti-inflammatory remedy. For example, if you experience eye bags or a swollen face, you can apply a wet tea bag to the area to help treat it. Tea bags are also useful for treating bug bites or stings, as well as growths that occur on the body, such as boils. If you or a loved one experiences these ailments, simply use the same process you would to treat eye bags or a swollen face.